January 15, 2014  Emergency personnel had known a Chinese teenager was lying on the ground at San Francisco International Airport near the wreckage. But as they spread foam on the area, she was covered up. Tragically, two fire trucks later ran over the girl. A coroner says those blows caused her death. December 11, 2013  Three people were killed and more than 150 were injured when the South Korean passenger jet crashed at San Francisco International Airport last July. As the NTSB holds an all-day hearing, there's word that the pilot was worried about making a visual approach to the runway. October 25, 2013  Tech startups aren't the only businesses incubated in Northern California. Since 2005, the nonprofit group La Cocina, Spanish for "kitchen," has been providing equipment, mentoring and access to capital to promising small food businesses in the Bay Area. October 22, 2013  A late-night deal has ended a walkout that began on Friday. 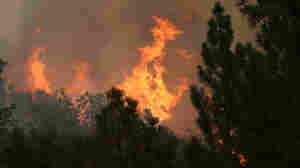 Workers had objected to management's effort to change work and safety rules. The two sides also disagreed on pay. October 18, 2013  The unions have demanded a bigger share of the system's $125 million surplus. 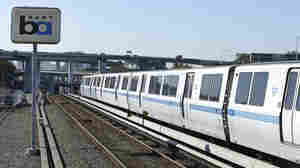 BART serves 200,000 riders each day. 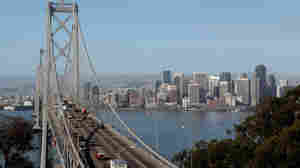 September 11, 2013  The naming of the western span of the San Francisco-Oakland Bay Bridge has sparked a political debate about the legacy of a long-serving former mayor. 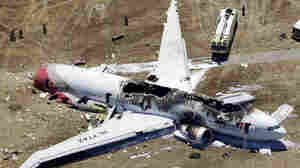 July 9, 2013  Among the things officials want to know: How much training had the pilot received before taking the controls of a Boeing 777; and what was the "training pilot" on board doing at the time of the crash? 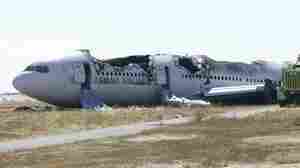 July 8, 2013  A "plane spotter" who was recording as jets came in to San Francisco International Airport on Saturday captured video of the accident. 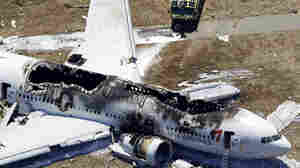 It shows the aircraft hitting the ground and sliding down the runway. 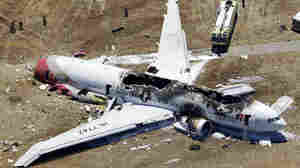 Remarkably, 305 of the 307 people on board survived. July 7, 2013  Pilot Patrick Smith says that, for the most part, landings are not nearly as dramatic as passengers might think. And, he says, shorter, domestic routes can be more tiring than international flights. July 7, 2013  At a Sunday news conference, the head of the NTSB also said that about 7 seconds prior to impact there was a call to increase speed on the jetliner. Saturday's crash at San Francisco airport killed two Chinese teenagers and injured dozens of others. 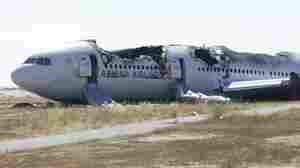 July 6, 2013  Video reports show smoke billowing from Flight 214 and it appears to have broken into at least two large pieces. 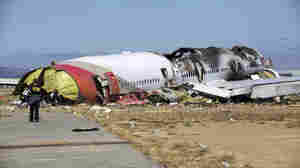 Images from the scene also show many passengers walking away from the crippled jet. July 2, 2013  A strike has shut down the San Francisco area's rail system for a second day, stretching out commute times and confusing tourists and residents alike. Many people who rely on the system say they wish labor and management could just settle. July 1, 2013  Monday's strike bogged down commuters in the San Francisco area. 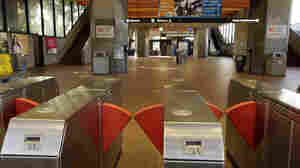 Member station KQED says some 200,000 people looked for alternative ways to get to work.